AndroVid takes the different approach, and your options appear as large icons or thumbnails that scroll across the screen And mostly features are as any other apps.You can clip video, add audio, and apply effects, but you probably won’t want to attempt anything too advanced. I would consider this option ideal for videos that don’t require much editing. Delete that awkward time you spent fumbling around at the beginning, apply a transition effect or two, add some background music, and off you go. I find the interface unattractive and the ads annoying, but you don’t have to deal with features tucked away behind in-app purchases. And those ads go away if you get the pro version. Not every Mobile processor offer the same amount of power that we can find on desktops, so when you’re making edits and exporting files, everything is going to take more time than it would on your PC.WeVideo says one way to get around this is by doing your video editing in the cloud and Let its remote machines do your work more quickly than your local hardware. Video editing is complicated, and not everyone has the time or patience to sit down and develop the skill. Magisto is for those busy people. The app takes your video clip, uploads it to someplace remote, applies a few timely edits, inserts music and extra visuals, then produces a file you can share on your social networks.Magisto isn’t an app you will turn to for professional work, but it can take a few awkward recordings and disconnected photographs of yours and turn them into something awesome. 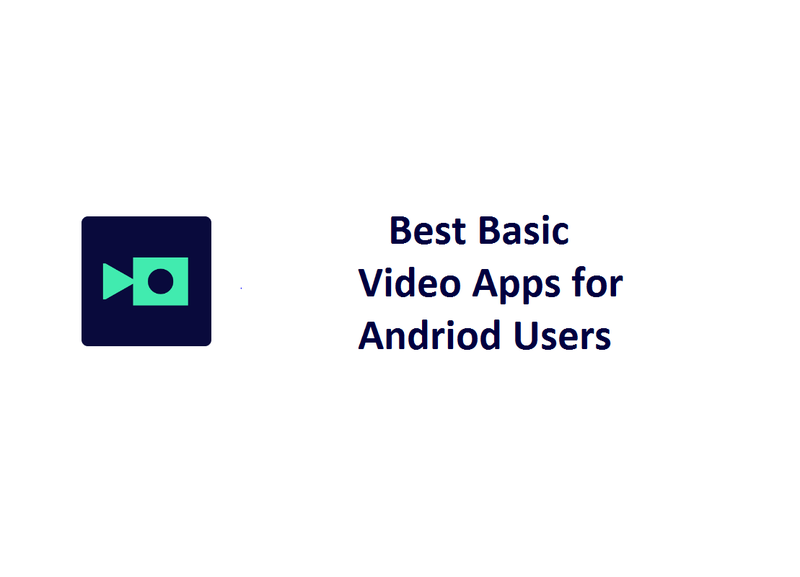 VivaVideo is one of the best basic video editor, photo slideshow maker & movie editing apps for Andriod. It offers you pretty basic features that can easily create your video stories to share with your friends & family. Though VivaVideo is a free video editing app, in-app purchases offer additional capabilities for even better video storytelling experience. Quik video editing app is developed by GoPro and it is the easiest app to create awesome videos. It automatically analyzes your photos and video clips to find the best moments, adds beautiful transitions and effects, and syncs everything to the beat of the music.You can Customize your story with music, filters, graphics and more.You can choose from 25 editing styles and add up to 75 photos from different social media accounts.You can also manually apply effects and transitions. A pretty powerful video editor application, which will not stamp a watermark or place a time limit on your clip.You can Select Photos and videos from gallery, albums, Facebook, or Instagram. Pick a Theme, add your favorite Music, Filters, and Titles and even Transitions.Save to your gallery, or instantly share on Instagram, Facebook, Vimeo, WhatsApp, YouTube, or Email.Its an all in one video editor with features like Play in reverse to create a reverse video, Slow down & Speed up, classic transitions, Overlays & Filters, Text & Titles and other Elements to take your video to the next level by adding impressive Still and Motion Graphics.